Well here’s a bit of a game changer for Google’s social layer, Google+. 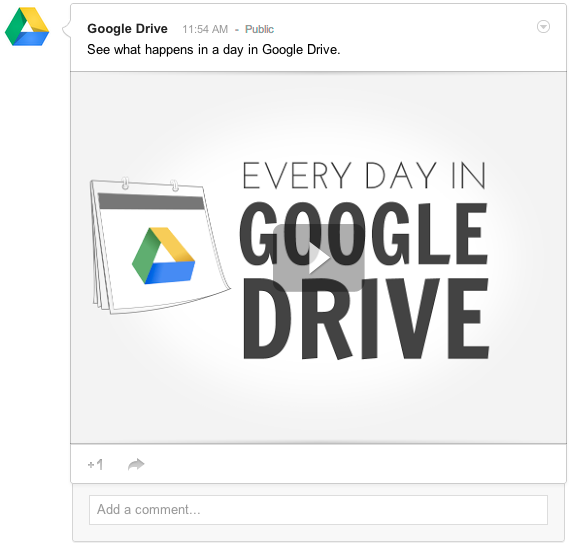 The Google Drive team has announced that starting today you can now share things like documents with your circles and stream on Google+. That’s not new, but viewing these items in the stream is. This is a pretty huge deal because it turns the service into a completely collaborative environment outside of the popular Hangouts feature. 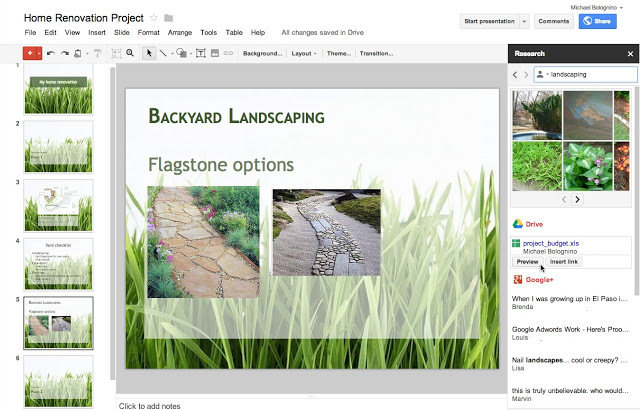 You can use Google+ at work with your company address, so I can see why this feature would be great for sharing a PDF, video or a slide presentation on the fly. It’s pretty handy. Actually, it’s more than handy, it’s a complete shift in how we communicate with the things we touch and update on a daily basis. To get started, simply click the Google+ icon when you’re sharing from Drive, or copy-and-paste a link to a file from Google Drive into one of your Google+ posts. By unlocking all of the things that you store on Google Drive, like photos and such, Google’s entire suite of offerings is now linked, thanks to the Google+ initiative. Why would you want to do this? Well, in some cases, you might want to make a spreadsheet public. I’d like to see that in my stream one of these days. For example, if you are planning a wedding like I am, you might have a circle of folks who are helping out with the logistics. Sharing a document on the fly makes absolute sense in that situation. Viewing them in a stream? Killer. Here’s a sample presentation in a stream for you to check out. Couple all of this with the recent Gmail changes for speed, and things are looking mighty good for Google and its user experience. This is rolling out for Google+ and Drive users today. I’ve said it before and I’ll say it again, Google+ isn’t a social network…the company has just gone completely social. The company doesn’t see you as a “Google+ user,” it sees you as a Google user, period.